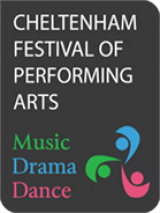 Cheltenham Festival of Performing Arts is Cheltenham’s oldest Festival and is held in May each year. The Festival’s main venue is Cheltenham Town Hall but we also hold classes at Bethesda Church and The Playhouse Theatre. There are over 300 classes to chose from in three categories, Music, Dance and Drama and we encourage all ages to enter and join in the fun. We provide a stage where children and adults can perform to their peers and receive constructive feedback from our eminent professional adjudicators. The atmosphere is friendly and everyone is welcome to come along and provide encouragement. The Festival is a charity set up to help with education in the arts. We have a vibrant team of Volunteers and Friends who provide valuable support the Festival. Do volunteer to help – there are many ways in which your services would be appreciated. The 93rd Festival will take place in May 2019.